I am Jane Holman, and I am a third grade teacher at Oconee Elementary School. I have been teaching since 1987. After graduating from the University of Georgia, I worked as a social worker for the Head Start program in Clarke County. It was there that I discovered my passion for teaching. I went back to school to earn my teaching degree in order to pursue this dream. I began my teaching career in Clarke County where I taught third grade for 12 years. 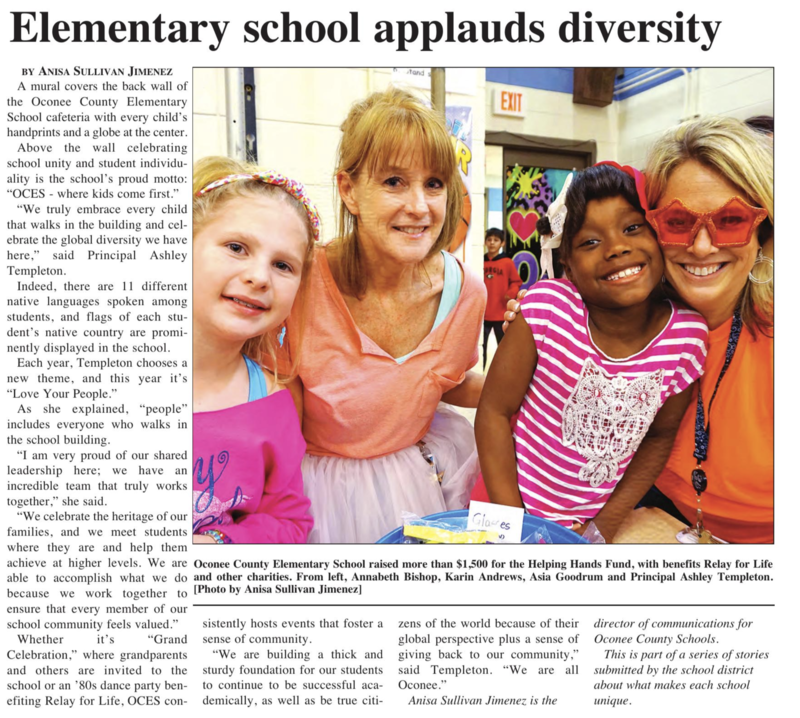 I taught first grade at Oconee County Primary School for 8 years before coming to Oconee Elementary School 9 years ago. The amazing students, creative and dedicated staff, and outstanding parent community make Oconee County Elementary School a wonderful place to teach. In my classroom, I strive to create a caring, safe, and engaging learning environment which encourages students to believe in themselves and to do their personal best. I am married and have two grown children, Cory and Jessica. Both of my children graduated from Oconee County High School. In addition to my love of teaching children, I enjoy teaching adult fitness classes.